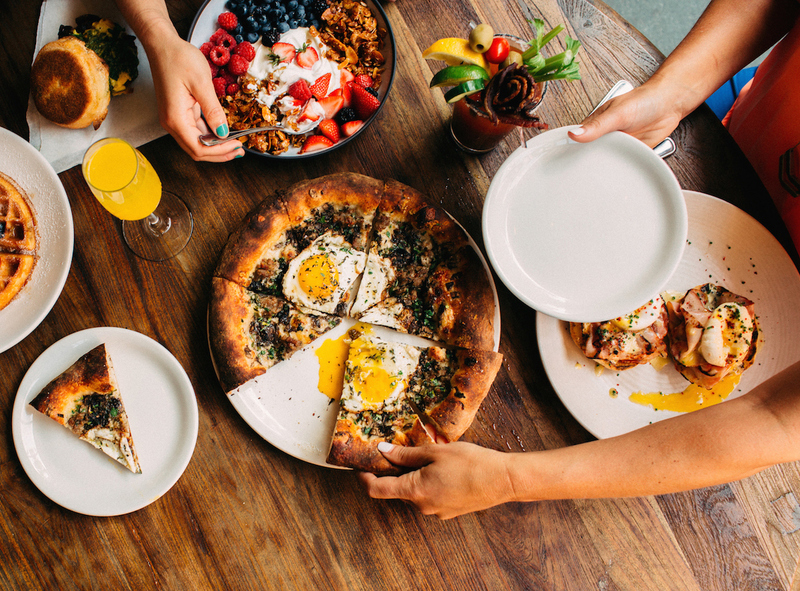 Brunch: An epic weekend meal situated between breakfast and lunch at which it is totally acceptable to devour both the savory and sweet, the caffeinated and fresh squeezed, the sparkling and spicy… you get it, at brunch, anything goes. 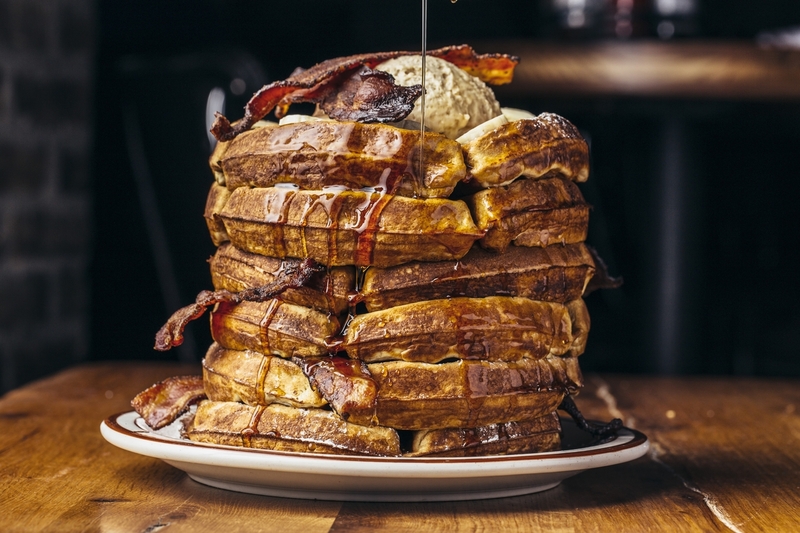 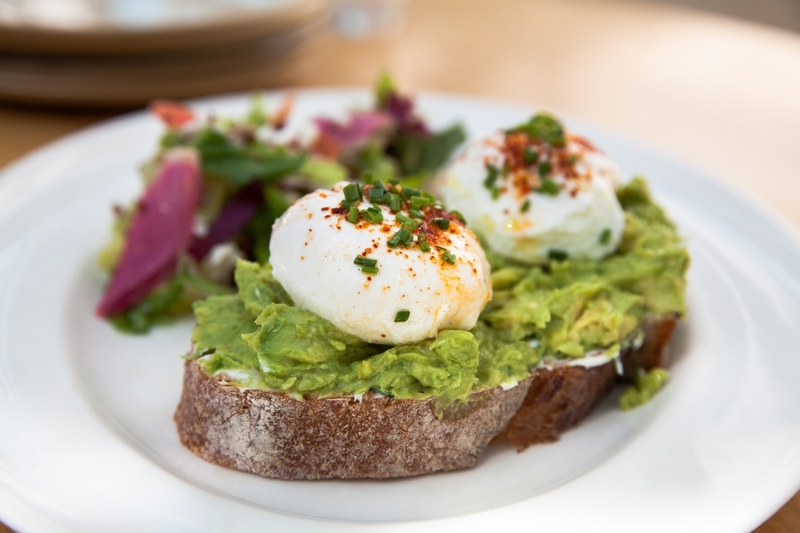 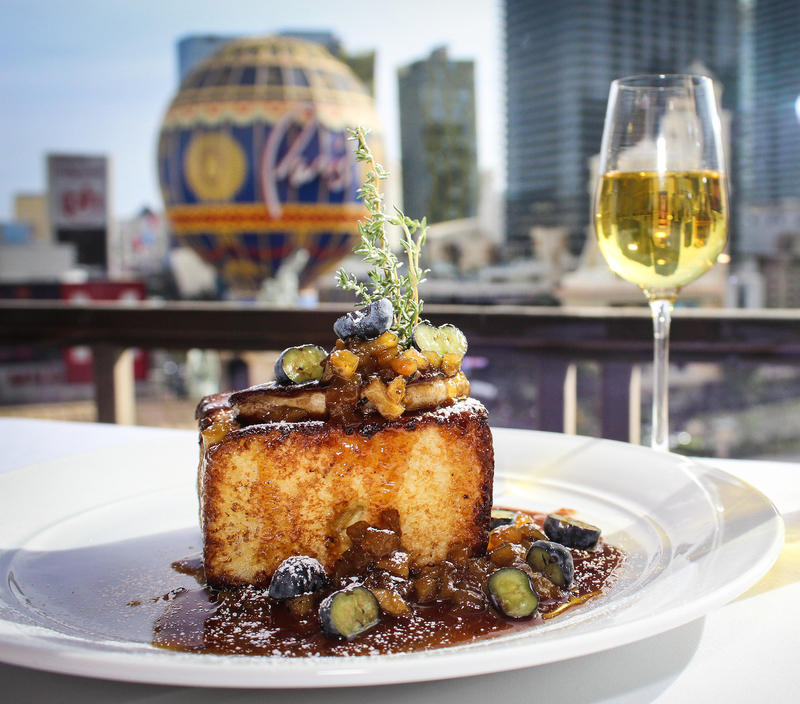 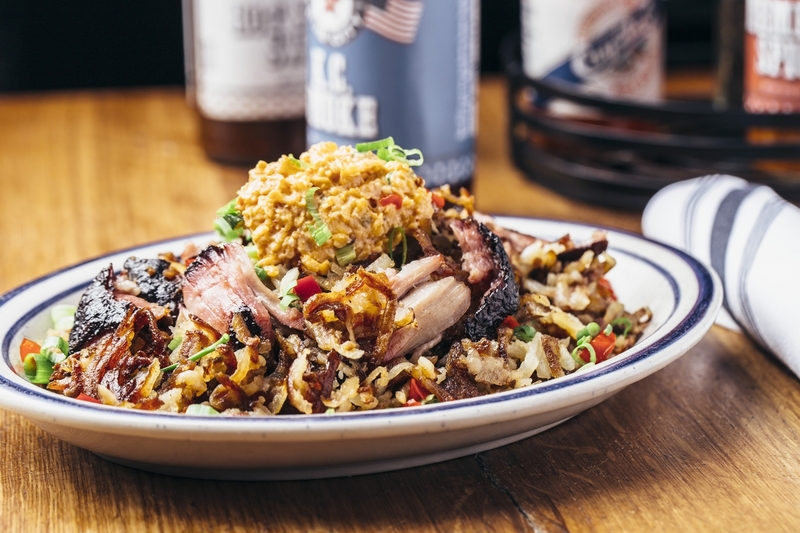 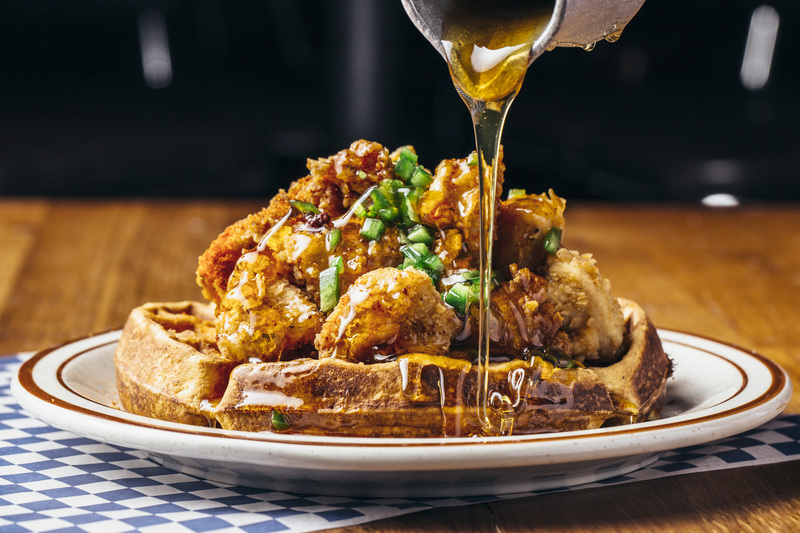 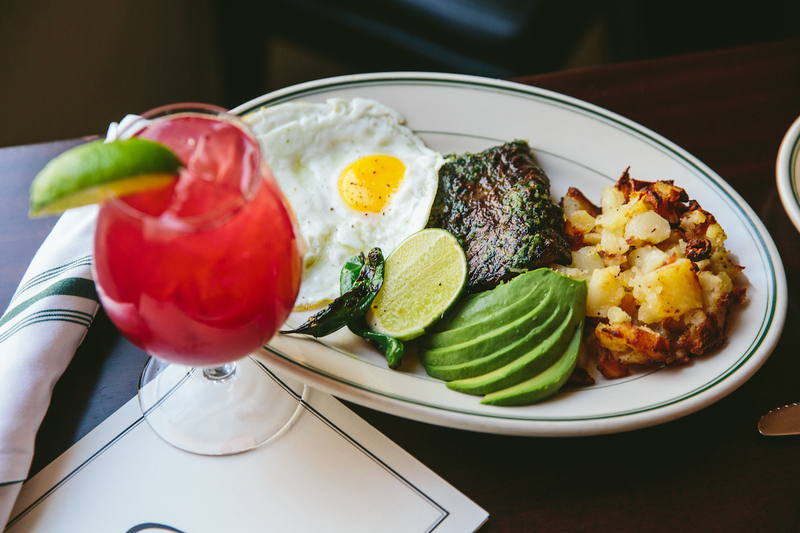 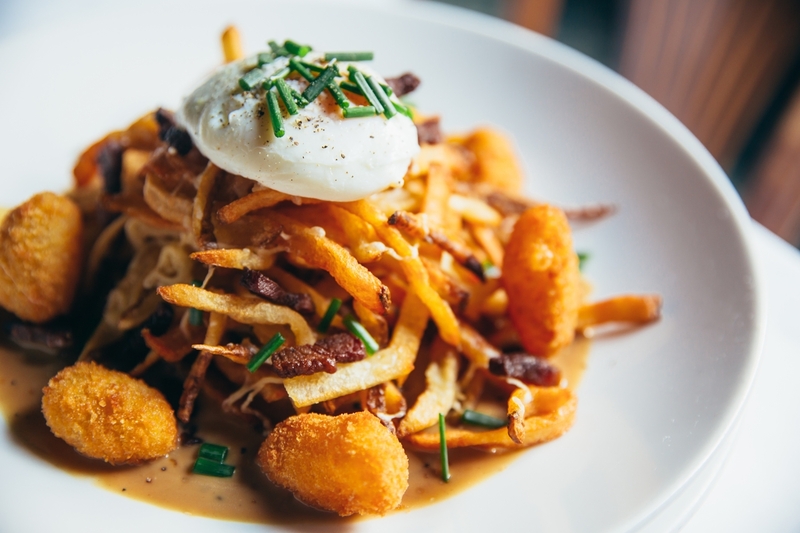 Here are some of our favorite brunch dishes, cocktails and trends you should check out next time you are brunching. 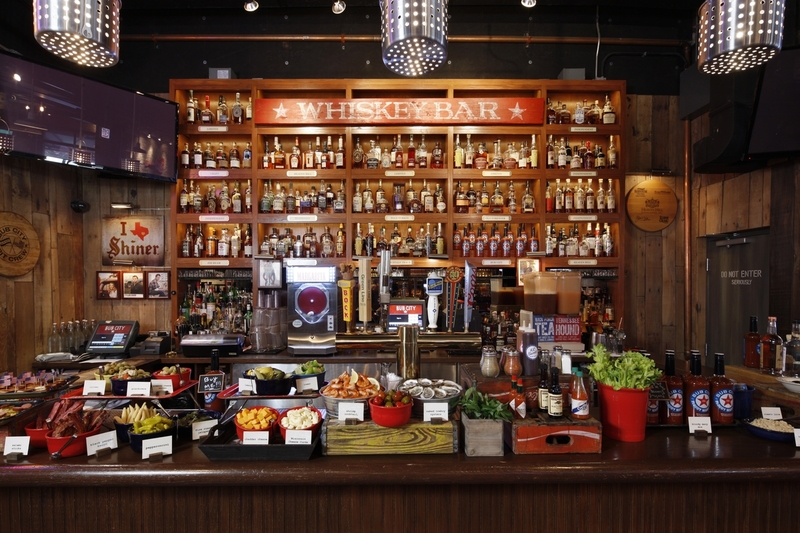 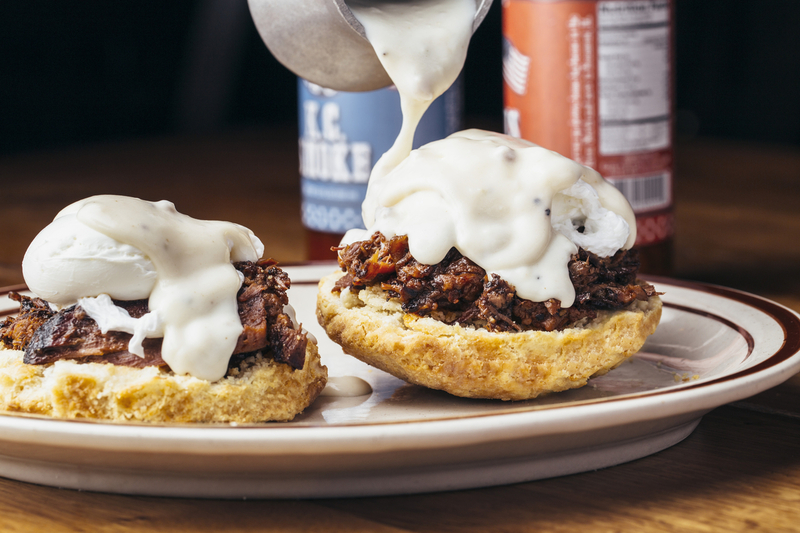 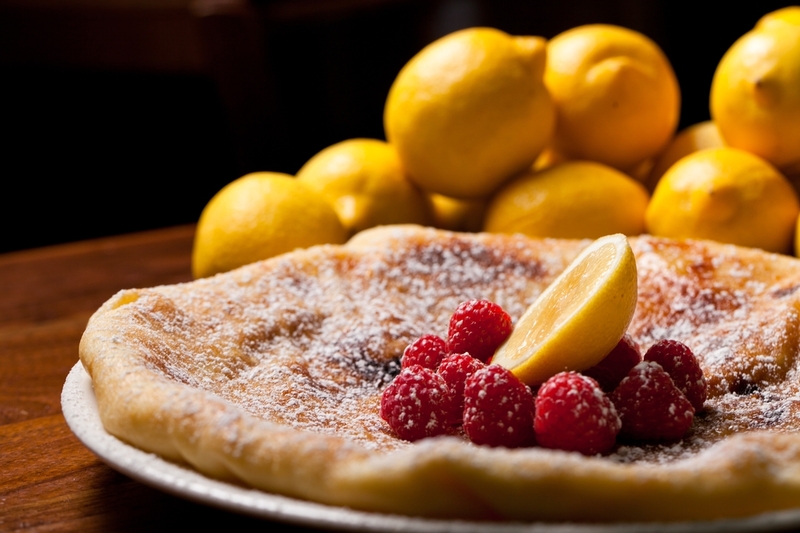 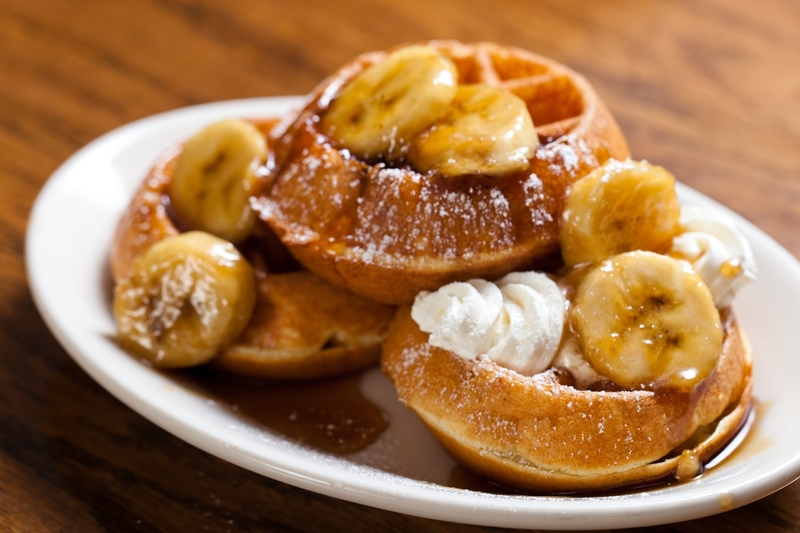 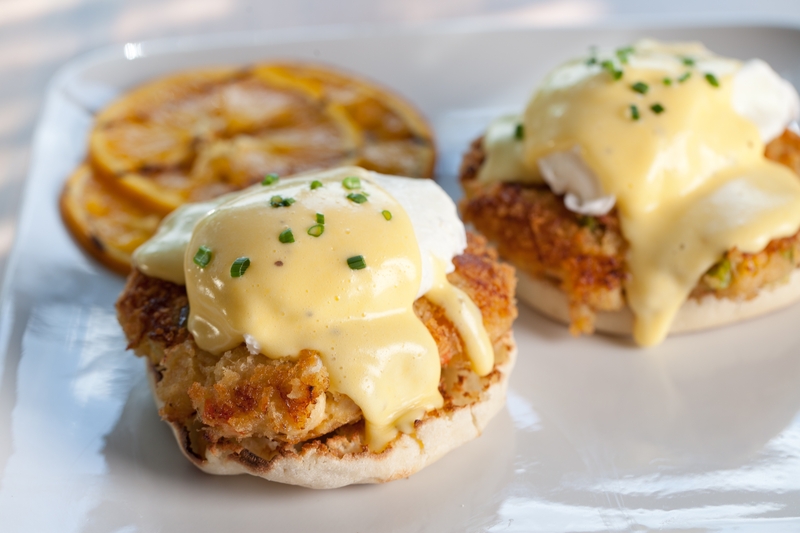 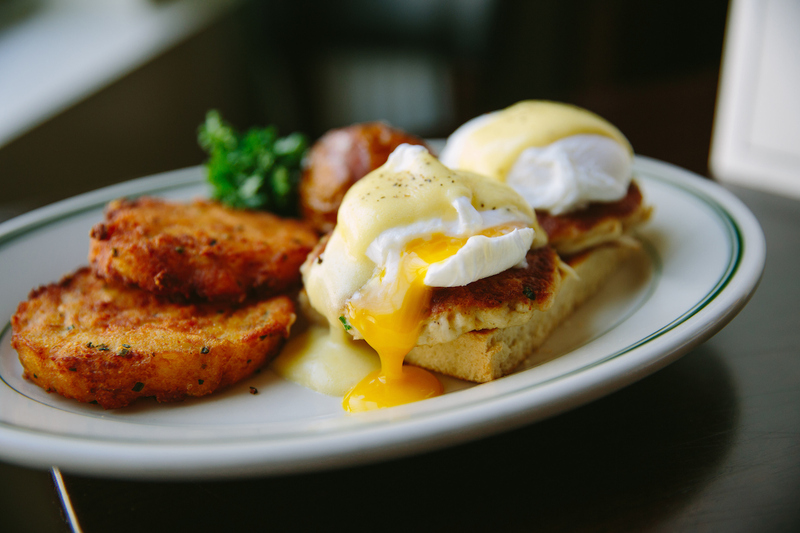 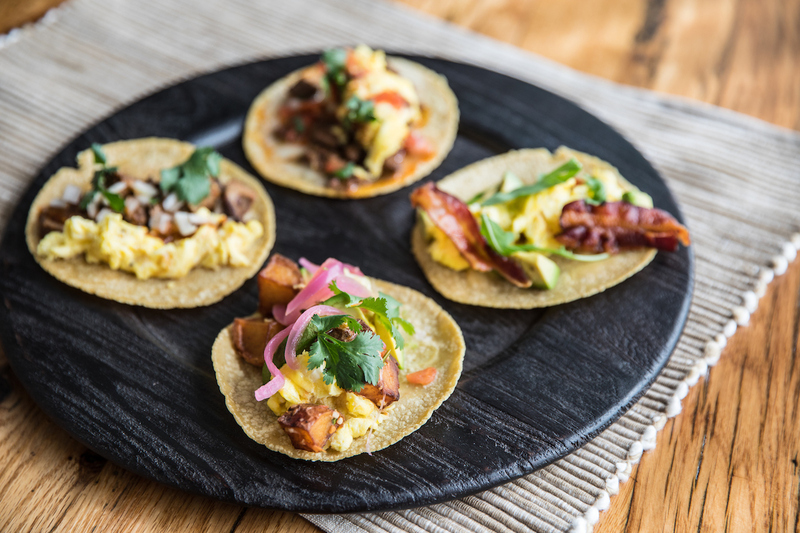 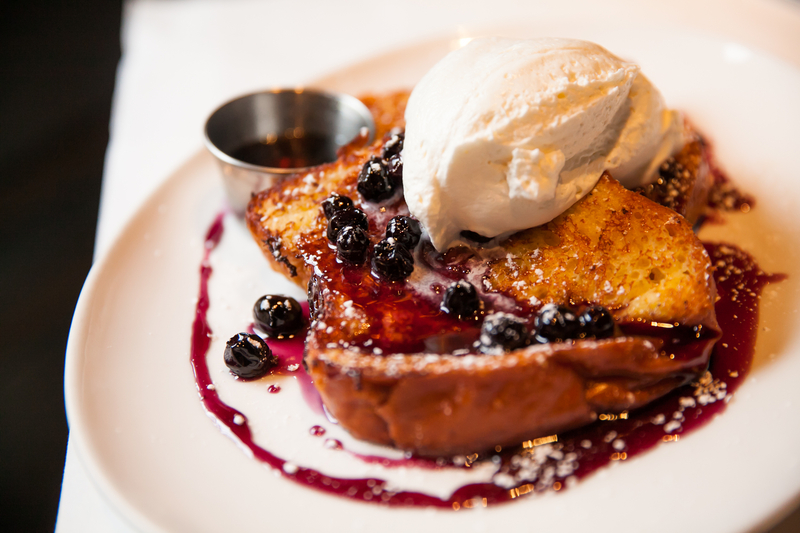 For a full list of all of our restaurants who serve weekend brunch, click here. 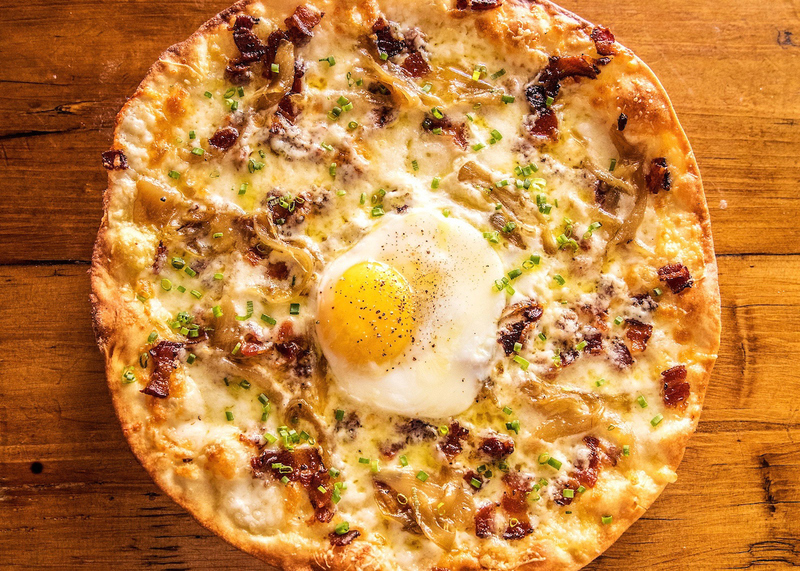 Baked egg dishes like rustic skillets, shakshouka, and more. 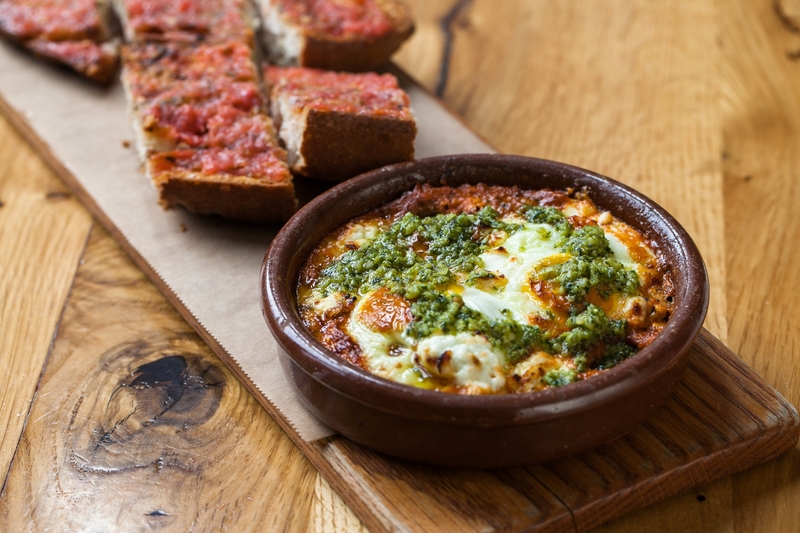 Baked Eggs at Cafe Ba-Ba-Reeba! 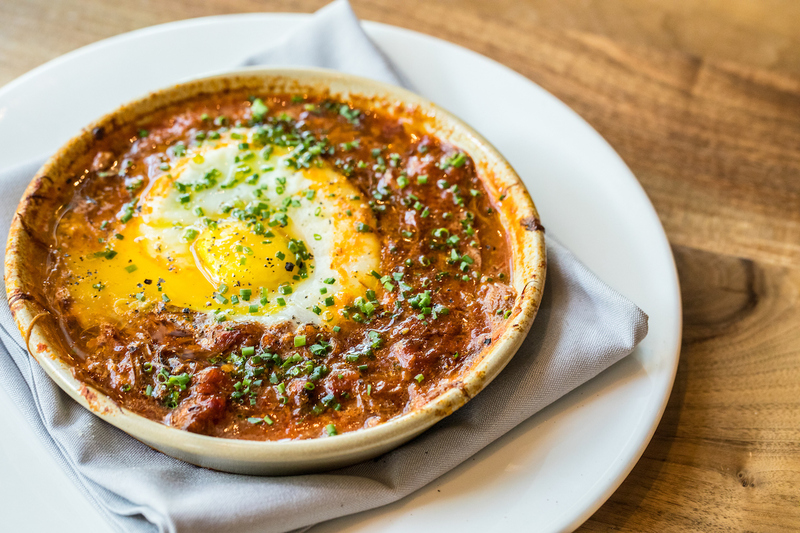 Ema’s Lamb Ragu & Baked Eggs with harissa, tomato and house bread. 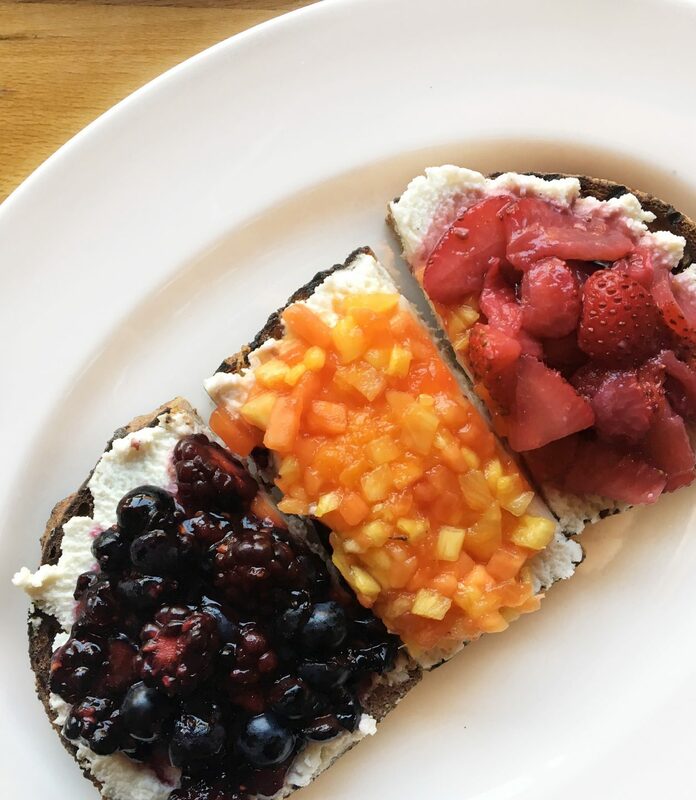 Rustic breads with great butters, jams and seasonal toppings – think fancy toasts. 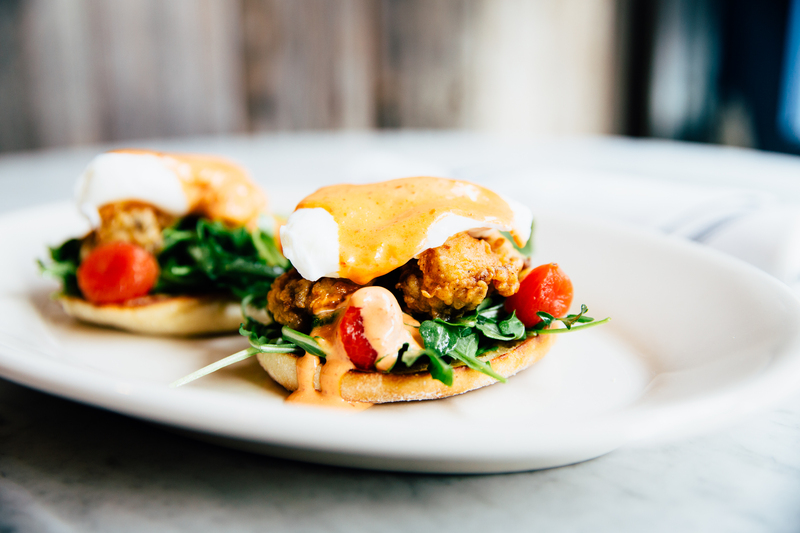 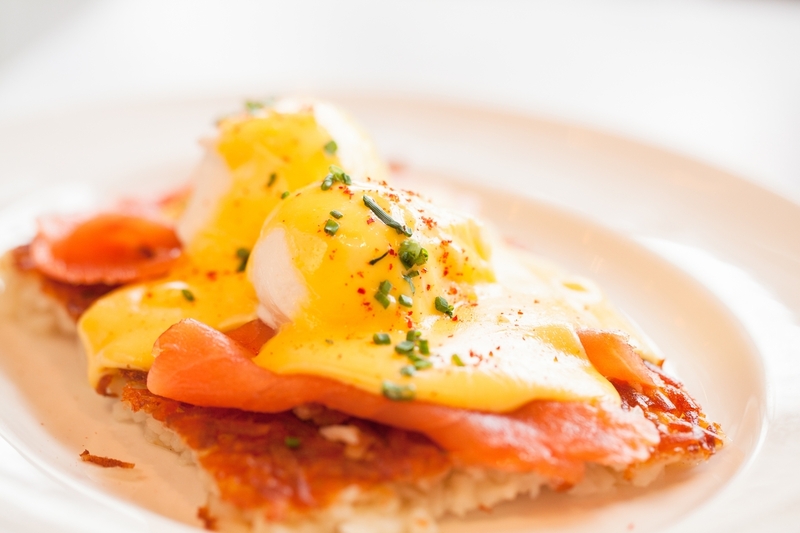 Chef twists on old classics like these creative benedicts. 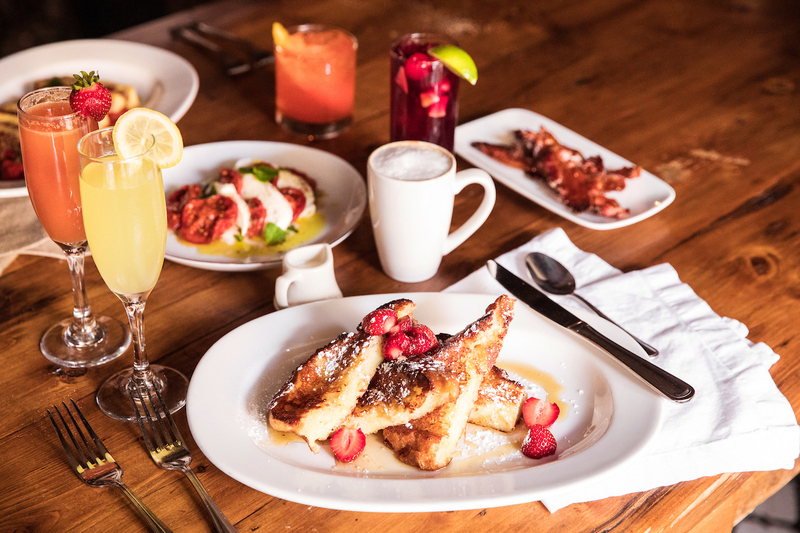 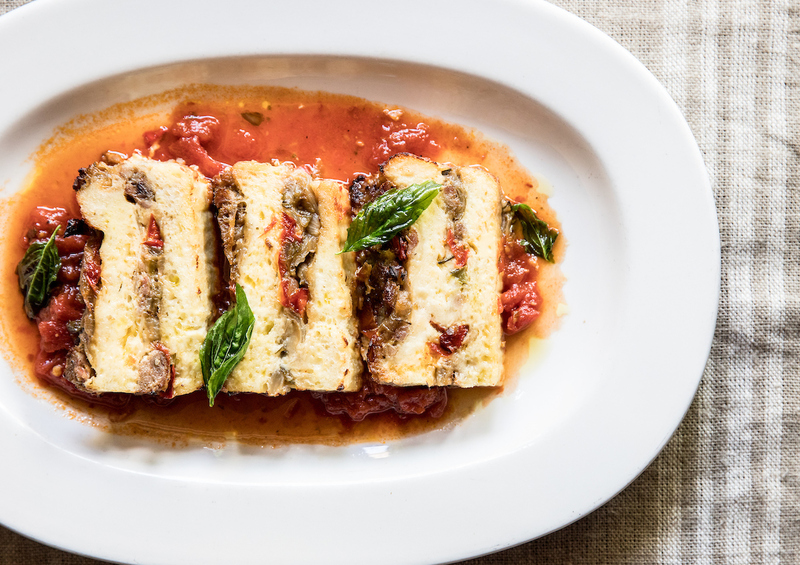 Addition of luxury ingredients to brunch menus like fresh cheeses, charcuterie and more. 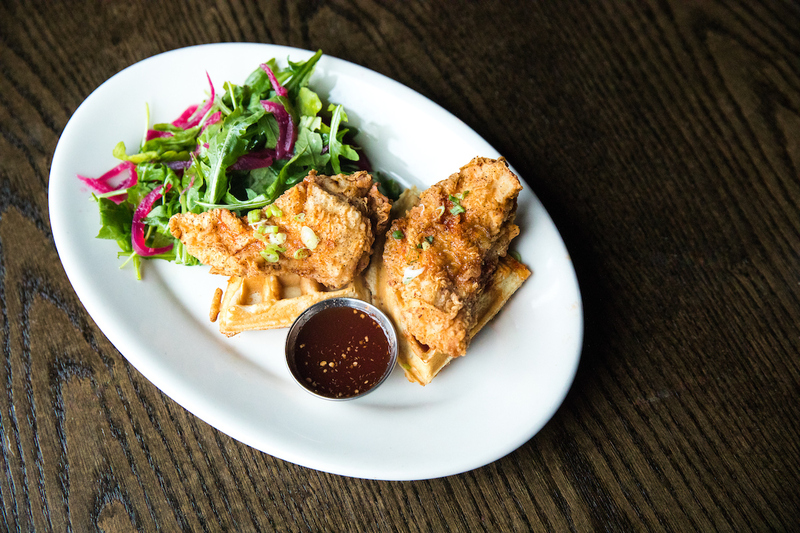 Beyond what’s hot in brunching, we are sharing brunch items that are savory, sweet and everything in between. 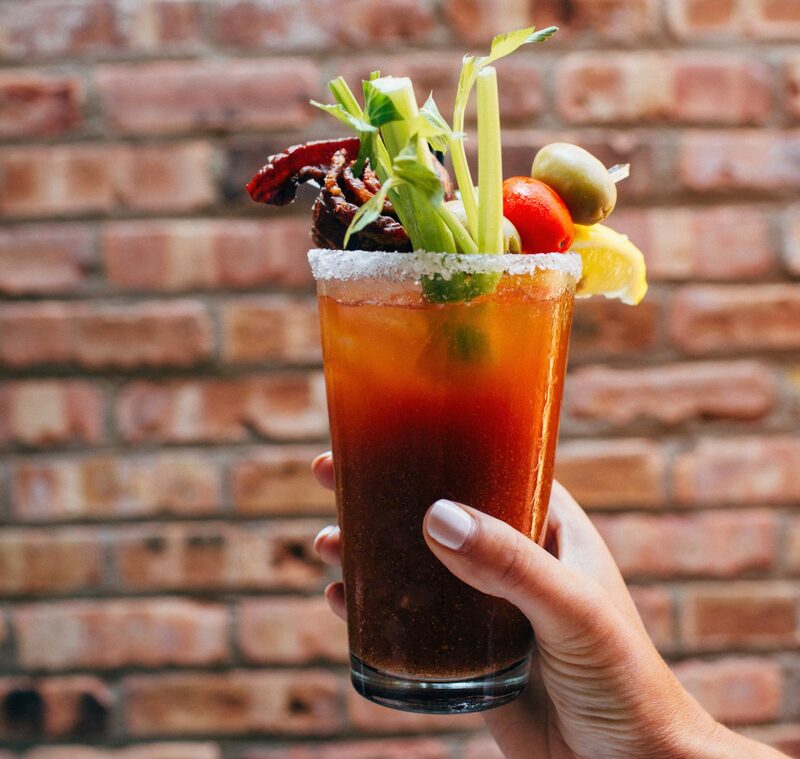 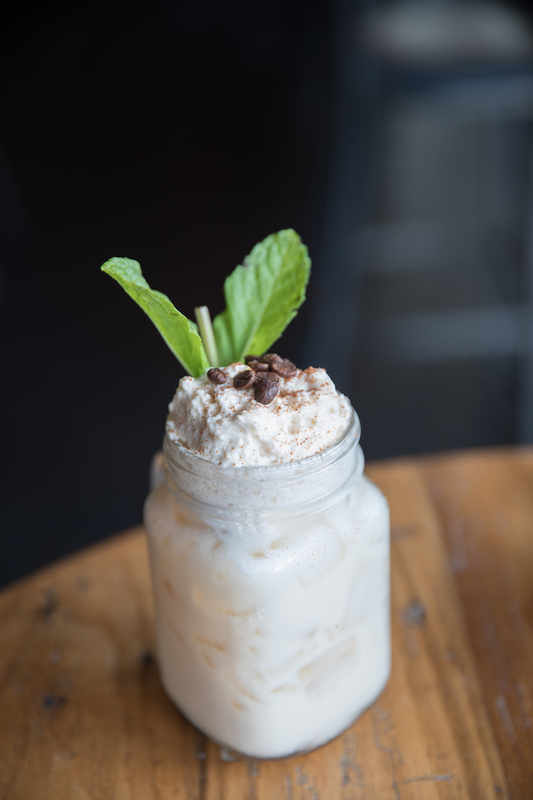 So here ya have it, the best of Lettuce brunch from breakfast pizzas, dessert-inspired French toasts, build-your-own bloody mary bars and much more. 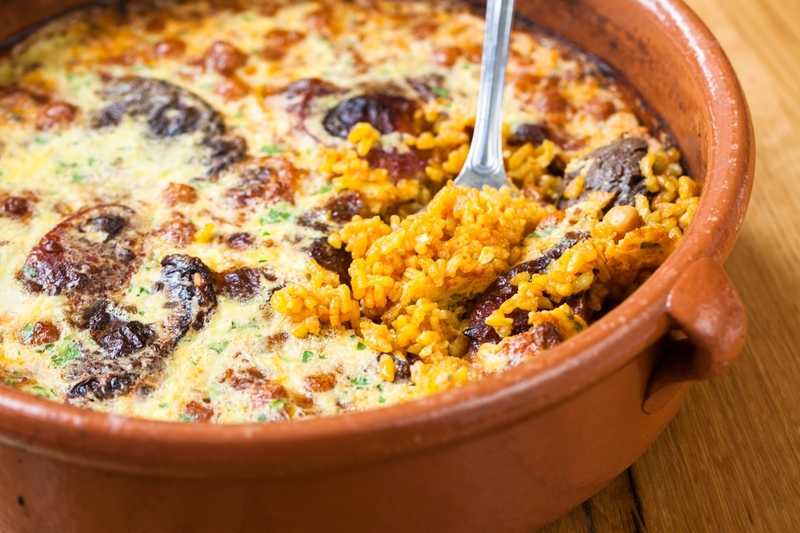 Breakfast Paella at Cafe Ba-Ba-Reeba! 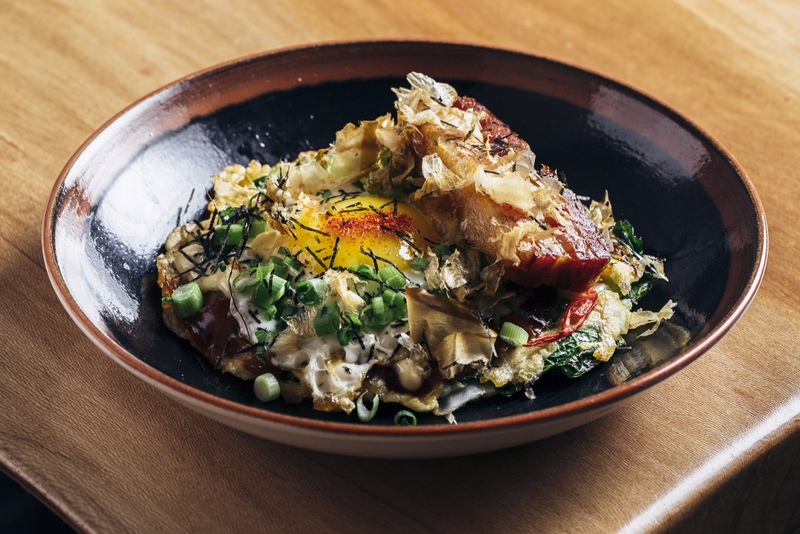 Ramen-san’s Okonomiyaki; a Japanese savory “pancake” loaded with toppings in three varieties including: Berkshire ham & cheese, crispy pork belly, and smoked brisket & octopus. 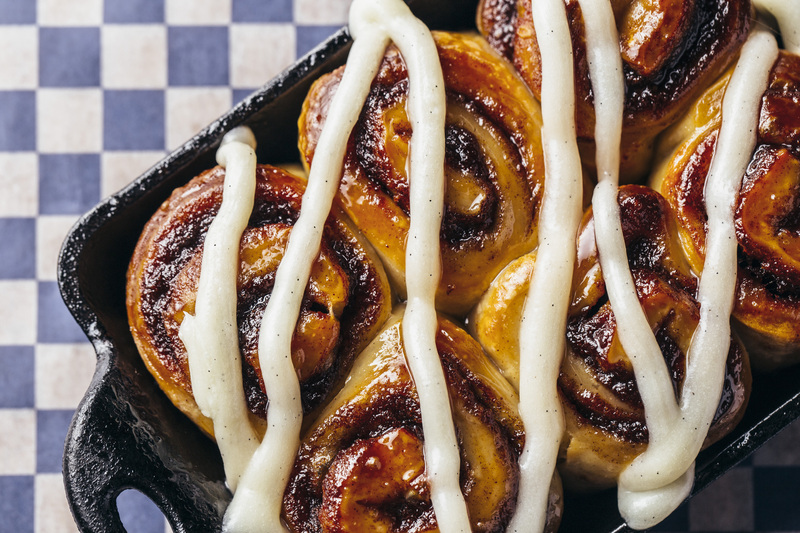 Want to learn more about this Japanese specialty? 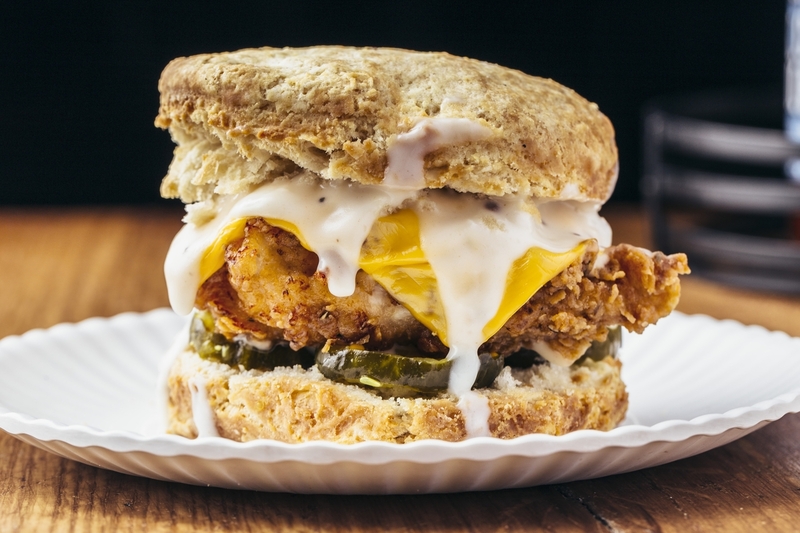 Read all about it. 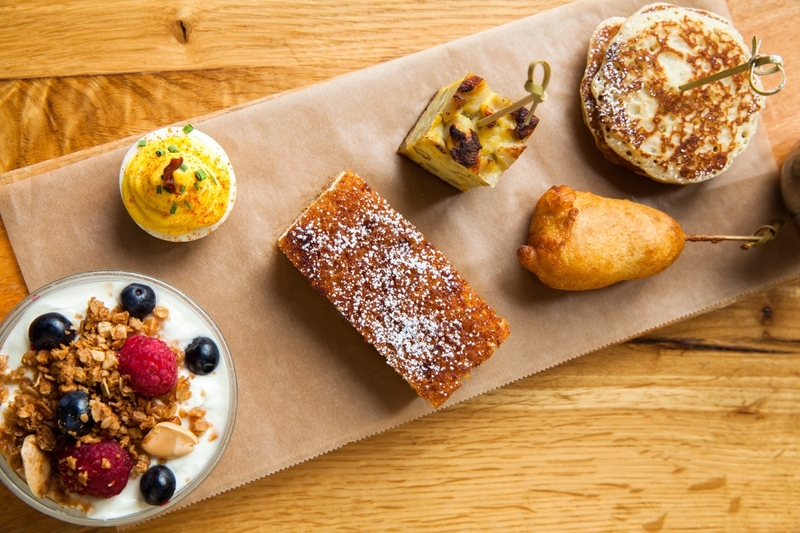 Brunch Pintxos at Cafe Ba-Ba-Reeba! 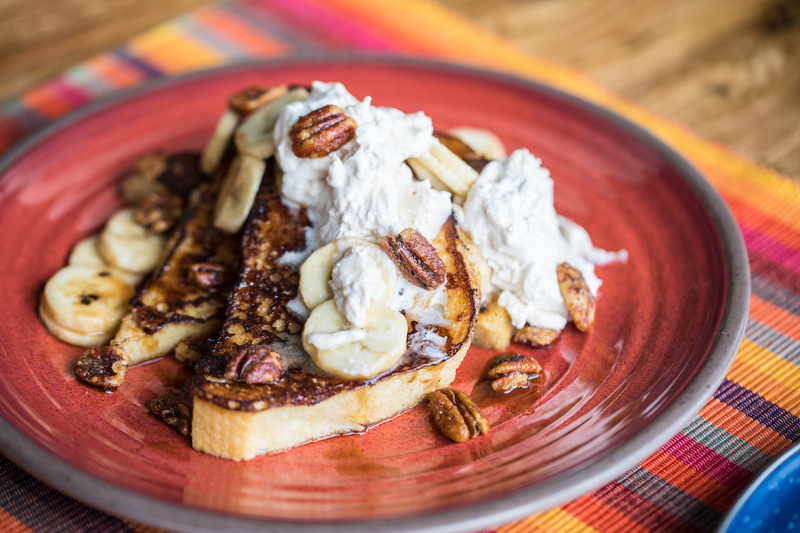 Tallboy Taco’s Banana French Toast, candied pecans, dulce de leche and caramel whipped cream. 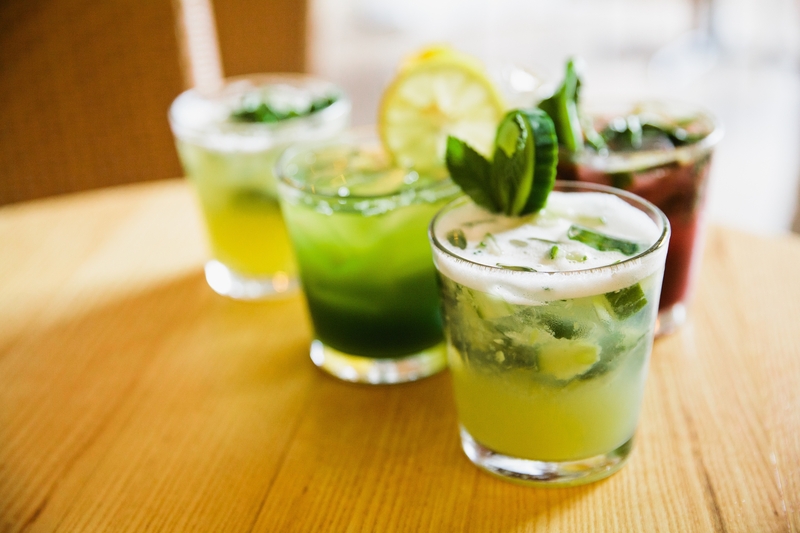 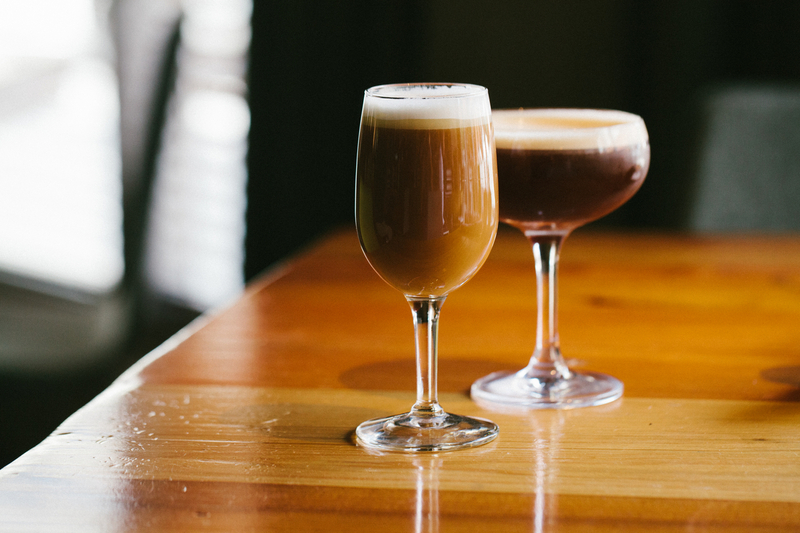 The Boozy (and not so boozy). 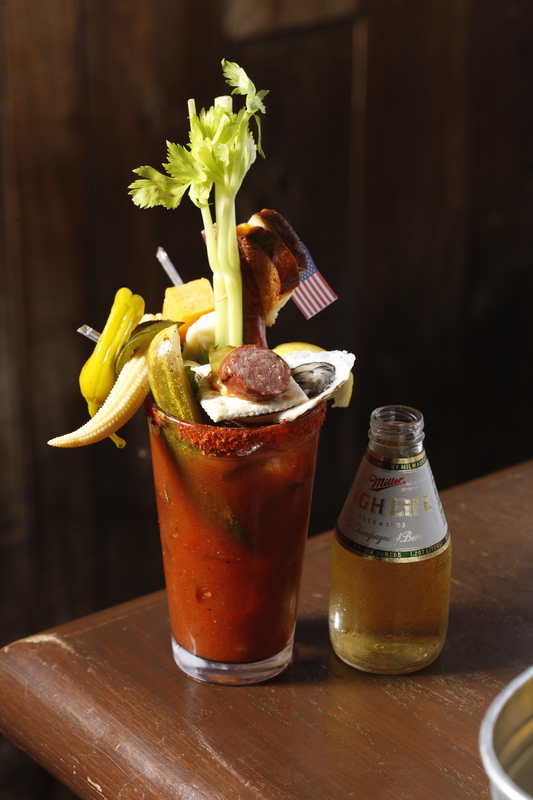 Bloody Mary at Cafe Ba-Ba-Reeba! 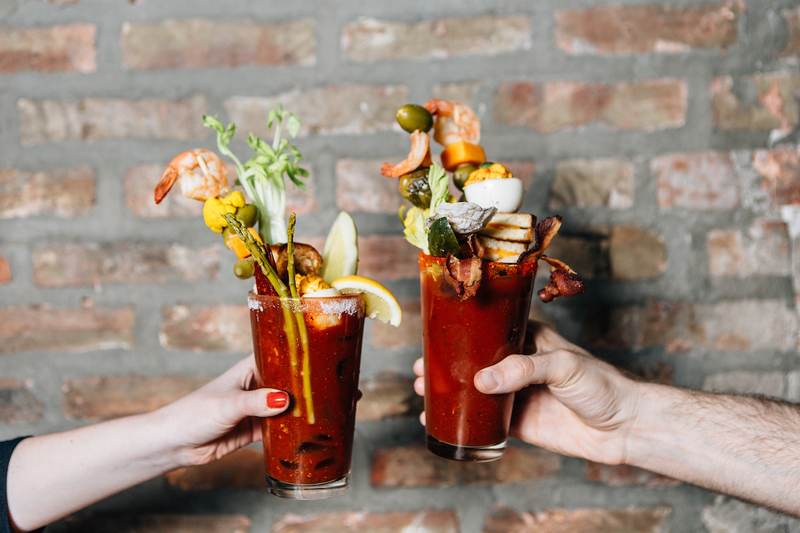 Stella Barra Pizzeria (Chicago, Santa Monica and North Bethesda) Grab a Bloody Mary, Mimosa or Bellini to go alongside the chef-inspired brunch buffet. 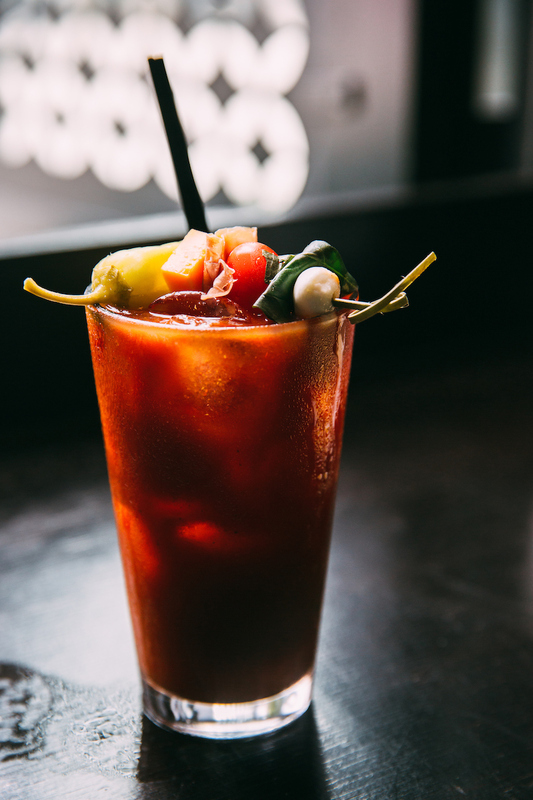 Read more about what makes an awesome bloody mary, here. 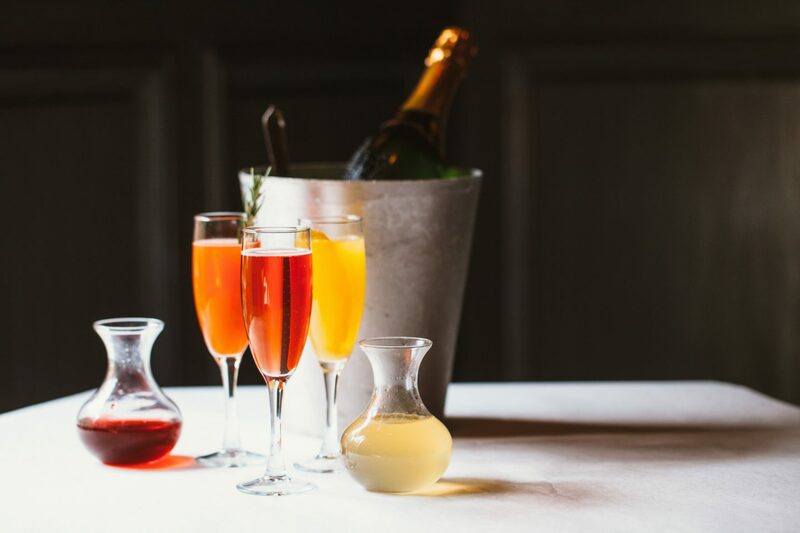 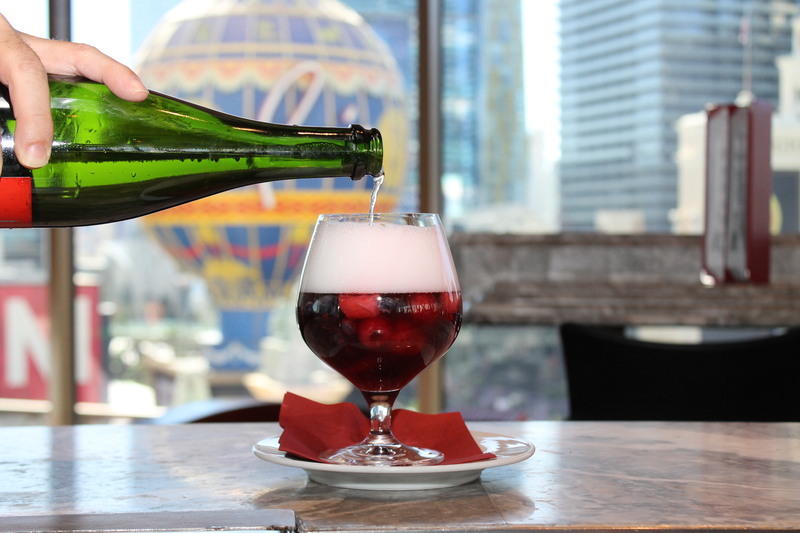 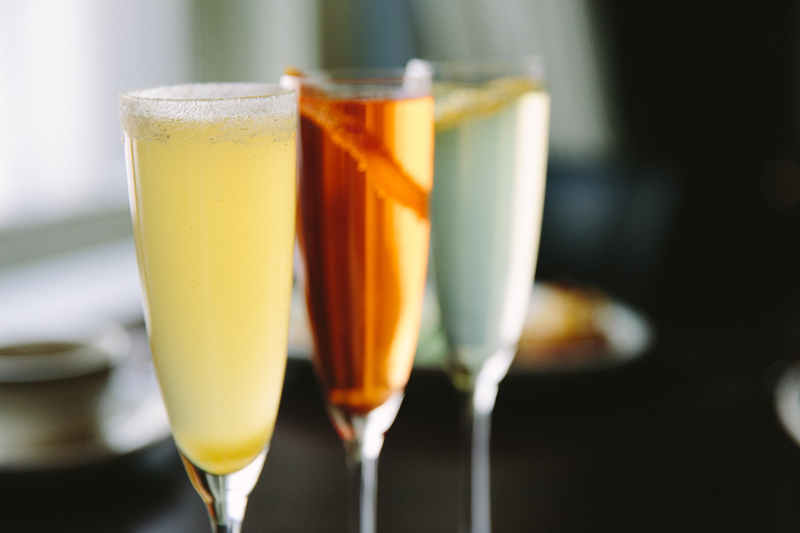 Mon Ami Gabi’s DIY Sparkling Cocktails – order a bottle of sparkling brut at brunch, and mix and match your own mimosas with seasonal elixirs like elderflower & pear, spicy ginger shrub, blood orange and more.